Although you may be an amazing entrepreneur, and have poured your whole life into your new company, you may not have had experience with interviewing before. Even if you have, the experience can be awkward. Because human capital is so important in every new startup, the interviewing process is key in ensuring your success. In this lesson, we’re going to lay out the basics of interviewing, quality control and finding references, and then give you some sample interview questions at the end. If you haven’t read our lesson on the Golden Triangle, you may want to head over there first. We use some of the frameworks and ideas from that lesson to talk about how to interview and expand your team. Interviews aren’t just about having a candidate sell their skills and experience to you -- they’re also about selling you and your company to the candidate! If you thought that interviews are just for going over the candidate’s résumé again, we’re going to teach you a whole different side to things. Often, people go into interviews like they’re going into an audition. They’ve studied the website and the market. They’ve tried to make a connection to someone at the company. They’re putting on their best face and their best performance to get hired. It’s your job to strip away all of that veneer and try to get to know that person. Because you’re trying to get to know that person, we suggest that you don’t always do interviews in a stuffy room. Take someone for a walk around the office, or out of the building entirely, and observe them in different situations. People often reveal themselves in small moments, so you’ll want to be paying attention! You have three key roles in the interview: questioning, listening and observing. When you’re questioning, make sure that you’re asking about things that often aren’t revealed in a résumé; examine the résumé closely to consider how to bring out other aspects of the candidate. Read between the lines and separate out what your candidate needs, wants, and loves. It’s always key to lay out the agenda. Get to know each other first! Here, you’ll be evaluating the emotional quotient (EQ) and cultural quotient (CQ) of the candidate to see if they will align with your company and your team. Afterward, you can evaluate their smarts (EKS and IQ) to determine whether or not they’ll be able to succeed at the job. Check out these frameworks in our lesson on the Golden Triangle. If you’re conducting a team interview, make sure that the candidate is aware of that step in the process ahead of time - team interviews can be really scary to the candidate and it’s fair to give them a heads up. And, be sure to always leave time to be questioned! Listen to the questions they ask closely: these can be huge indicators of a person’s interest and suitability for the job. What you’re looking for in an interview is fit. Will this person work well with your team? Can they do the job you need them to do? Can they grow with you? Are they thoughtful? You should learn as much (or more!) about the person by what they ask, how they probe at your answers, how curious they are about the position, the company, the team. Don’t you want team members who engage fully? If so, how can they do so if they’re not asking great, probing, penetrating questions? And are they doing so diplomatically or offensively? What’s the tone with which they’re communicating skepticism and doubt? Is it aggressive? Curious? Problem/solution oriented? Really work hard to “read between the lines” during the conversation: tone, demeanor, body language all tell you about the person and how they’re reacting to the situation. You should have all your senses awake! Even if someone absolutely blows you away in their interview, always be sure to do quality control. You’ll want to control quality by checking with your gut, your team, and the person’s references to assure that their résumé is accurate and that they’ll fit in with your company. At Startup Secrets, we also recommend that you trust your gut. If someone doesn’t feel like the right fit, they probably aren’t! You know your company and your culture better than anyone else. If you’re doing group interviews, make sure you check in with your team. A great question to ask after the interview is, does everyone feel like this candidate is a net additive to the team? If they aren’t, if they’re dilutive or negative for the team, they won’t be a good hire. If they would be dilutive to the culture or the spirit of the team, it will divide your team instead of multiplying their skills. A bad hire can be one of the worst mistakes you make, so be sure to really qualify whether or not the candidate will be a positive force in your startup. A note for hiring salespeople: they have to care about money! Any good salesperson that says they don’t care about the money is trying to be humble. If they don’t care about money, they’re not a salesperson. They may be a great marketing person, and you may direct that candidate to your marketing department. Salespeople are also motivated through recognition and competition, so look for that in your potential hires. Getting real references is a tricky one. You may be thinking, well, isn’t that right on the résumé? And sure, there are references in the résumé or application! But those references given to you will be rehearsed and only show the positives in people. References are most valuable when they’re not in the résumé. We encourage you to go find their peers, bosses, and employees from previous positions to gain a well-rounded view of the individual. What was the experience you had? What skill are you missing, now that the person is gone? What else is your team lacking without that person on it? (hint: if they don’t have a good answer, do you think the candidate was really all that valuable to the organization? Can you give me specific examples of the candidate…Solving a problem? Dealing with a difficult customer or supplier? Teaming on-the-fly to deal with an urgent problem or need? … fill in the blank - questions like this should be tied to your core needs and your core concerns about the candidate after the interview. Who had a hard time working with this person, and why? How did the candidate deal with conflict? Examples? Also, ask questions about the environment in which the candidate worked: was there a lot of structure and process? What examples can you give me of how the candidate dealt with ambiguity or something brand new never-been-seen before? Try to match up the answers with the team and culture you’re trying to build - it’s possible that a candidate thrived in one environment (e.g., one with lots of structure) that wouldn’t apply to your needs in a startup. Another question we get at Startup Secrets pretty often is: do I hire young people or people with experience? The answer isn’t as easy as saying you should hire one or the other. A better question would be: should I hire known quantities? Young people often have very little experience in a given field, but that doesn’t mean you shouldn’t hire them. Often, people from different generations have different experiences and mindsets, which can be valuable to the diversity of your team. Experience is always nice to have, but if you don’t know if that person will fit in with your team, then they won’t be the right fit. Instead, focus on hiring people that you know you can work with (young or experienced), and encourage diversity of thought in your startup. Different backgrounds, ages, and experiences can all factor into the success of your company, as new ideas will flow more easily with diversity. So, should you hire young people, and experienced people? YES! Our favorite first question: What are you passionate about? Our favorite general question: What would you choose to do if today were your last day of work? Our favorite last question: What else should we know about you? What have you enjoyed most in your previous jobs? What do you love doing day-to-day? What would an ideal day look like? What is it you think you’ll enjoy most about this job? What do you aspire to in life? How are you pursuing that? What do you want or feel you need to learn? What legacy do you hope to leave? What do you hope to be remembered for? What values do you believe in? How do you live those values? Personalize questions for your values: e.g., what does trust mean to you? What else do you love about your life? What do people think of you? How accurate is their perception? What work relationships are you most proud of, and why? What are examples of work interactions you are most proud of and why? What have you learned from your best and worst work relationships? What is it that you relate to in our company? Try to find practical instances and real-world tests! What is the most relevant EKS you bring to the job? In your previous roles, what did you learn, prove, and act on? What are examples of problems that arose and where did they lead you? What is your favorite example of a problem you solved, and how did you solve it? What does management mean to you? What is the role of management? What environment do you like to create? Who comes first, your customer or your team? Do you judge by effort or results? What do you celebrate or reward? What do you trust and how do you verify? If you were hiring me for this job, what other questions would you ask me? In the end, hiring is all about you, and your team. As we’ve said in other lessons, it’s important to remember that every person you hire is an extension of you, and will add to or subtract from your culture. Always trust your gut, and make sure that a candidate will add to your team instead of subtracting from it. Hire people who scare you with their competence! Your team will make or break your company, so choose wisely. If you want to read more about building a great team, check out our lessons on Golden Triangle and Human Capital. See our original workshop presented at the Harvard Innovation Lab here. Check out the related resources below, and as always, head over to our forums with any questions you may have! 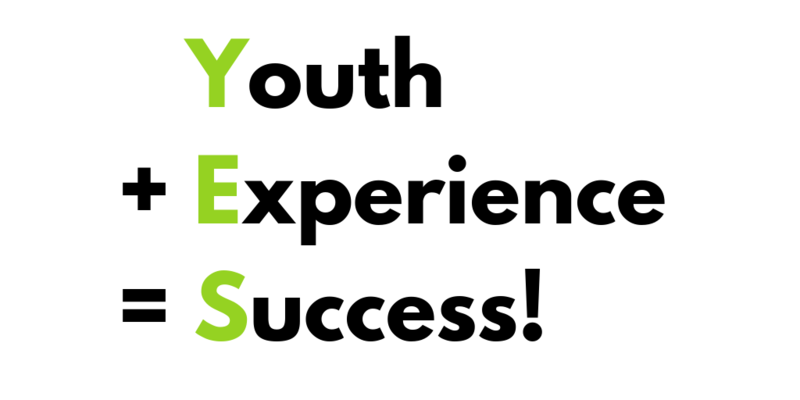 For more on YES, check out Hiring A+ Talent, and Have You Got What It Takes? Defining and building your culture at the beginning of your venture can lead to a strong, sustainable company. The dangers of not defining your culture may be higher than you know. This lesson dives in to what to do, and what not to do. Not sure what qualities to look for in a hire? Check out our Golden Triangle lesson to help you find well-rounded candidates, fit for a startup. Your company's most important assets aren't your product or your funds. It's your team! This lesson shares how valuable your human capital can be. The founder has one of the most important roles in a startup: leading your company and your team to success. This lesson talks about the aspects of leadership and how to grow as a founder. Help your team succeed with the virtuous cycle of success: a way to encourage your team to excel, and stay loyal to your company.